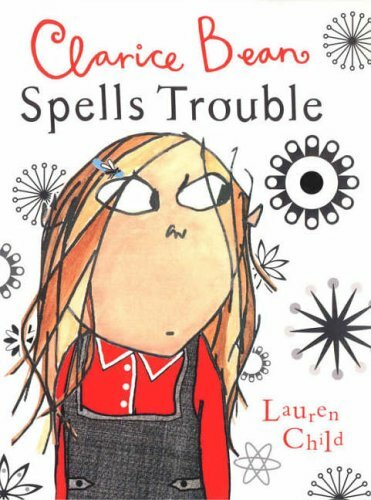 The book I want to review is Clarice Bean Spells Trouble by Lauren Child. I like this book because it is realistic and not about something like fairies. It is about a girl who is very bad at spelling so everyone in her class think it was her who spelt rino on the wall with out a h.
I like this book because she makes me think of my self.The illustrations are simple but effective. These books are filled with fun and they are very entertaining.